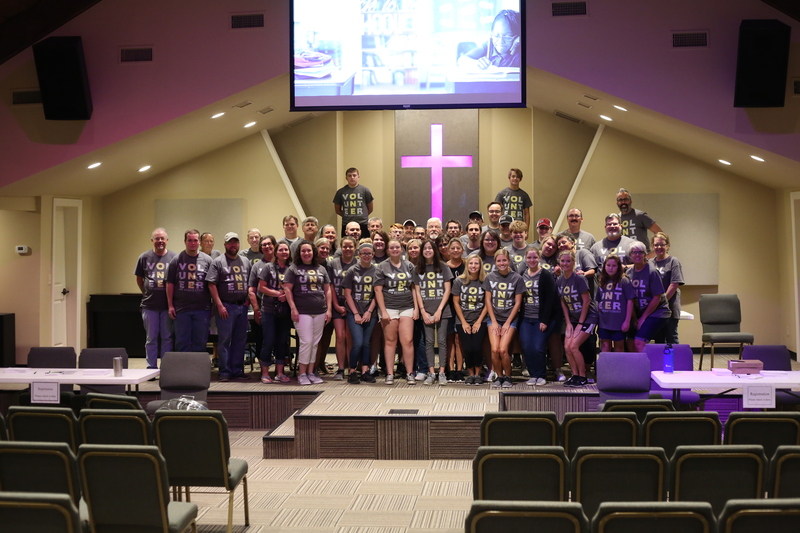 Recently, I had the privilege to join other members of New Heights Church in Owasso, OK in working the church’s annual Back to School mission. The goal of the mission is to give kids backpacks, school supplies, shoes, haircuts, eye exams and eyeglasses. The church holds this event because the overall mission of the church is to be the hands and feet of Jesus in the community. It is amazing what can be accomplished when people have a common mission, heart, expertise and a can-do attitude. New Heights church is rather small in number with a membership of about 75. However, about 50 members showed up for the event which is held on a Wednesday. Further, the majority of the funds used to buy the backpacks, supplies and shoes came from the members. We use business techniques to help ensure an effective mission. The church is blessed to have members with expertise in areas such as marketing, communications, planning, purchasing, logistics, Lean principles and work flow. Most of all, the church is blessed to have members with a heart for God and a desire to help the community. Overall, 227 families were served. The families came from Owasso, Tulsa, Collinsville, Skiatook, Oologah and 9 other area communities in northeast Oklahoma. It is remarkable what can be accomplished with a blend of heart, desire and business expertise. I encourage all business people to use some of your expertise and resources to help your community.